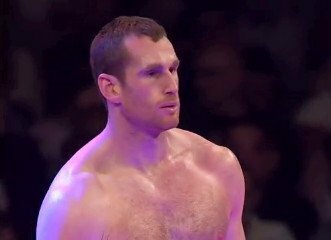 Liverpool’s David Price will not be in the running to fight the winner out of premier heavyweights Dereck Chisora and Tyson Fury said promoter Frank Warren. Price’s promoter Kalle Sauerland had said that it was ‘inevitable’ that Price would face the winner of Chisora and Fury, but Warren has said that won’t happen. Bitter rivals Chisora and Fury clash in the biggest domestic heavyweight showdown in recent years at the Phones 4 U Arena in Manchester on Saturday 26th July, with the winner securing the WBO number one spot to challenge reigning world champion Wladimir Klitschko. And once Klitschko has made his mandatory IBF title defence against Kubrat Pulev on September 6 in Germany, he’ll have to face either Chisora or Fury to defend his WBO title. “Chisora and Fury are both well past Price at this point,” Said Warren. Warren also added that Price had been previously offered a fight against Chisora after his first loss to Tony Thompson, when Chisora was making his comeback after his loss to David Haye, but declined it.